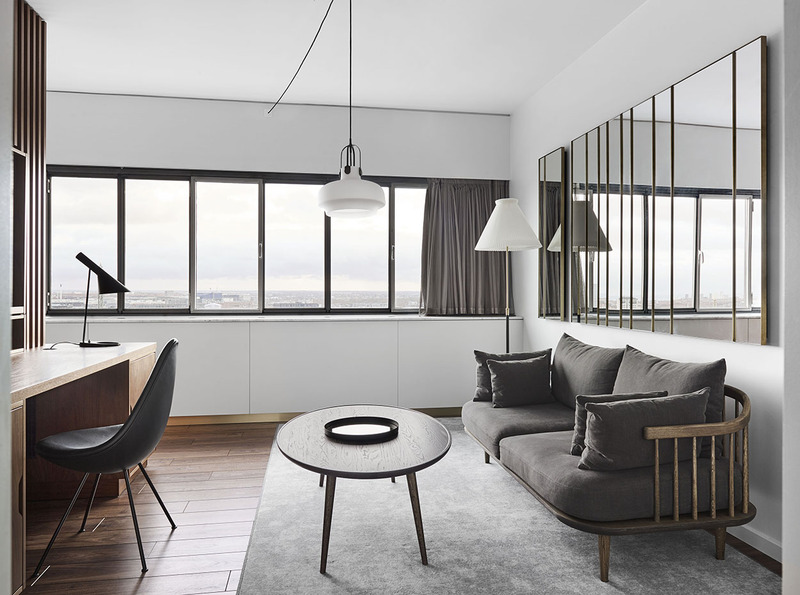 In the Danish capital, Space Copenhagen’s thoughtful renovation maintains all of the midcentury stunner’s hallmarks—and adds a few flourishes of its own. 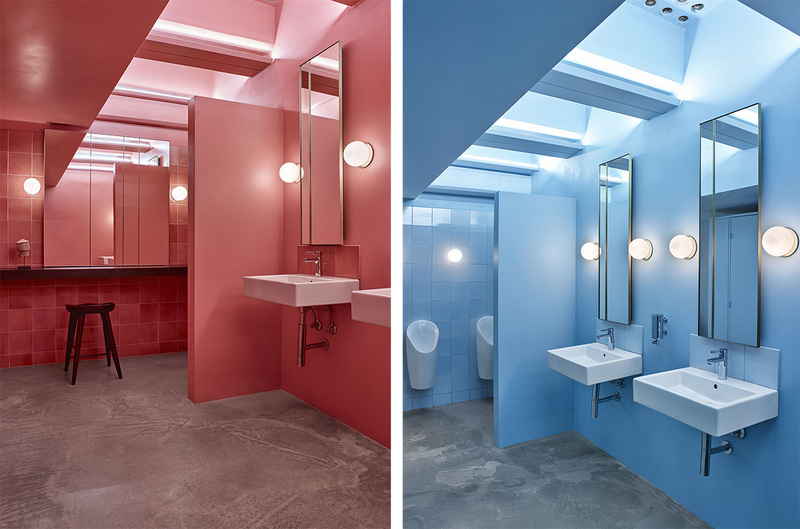 A beloved icon has reclaimed its former glory in Copenhagen. When the Radisson Collection Royal Hotel, the city’s first skyscraper and a showpiece of Modernist Danish design, opened in 1960 it quickly lured the international cognoscenti who came to see Arne Jacobsen’s masterful 360-degree-view creation, from the architecture to the flatware to the lobby’s Egg chairs. 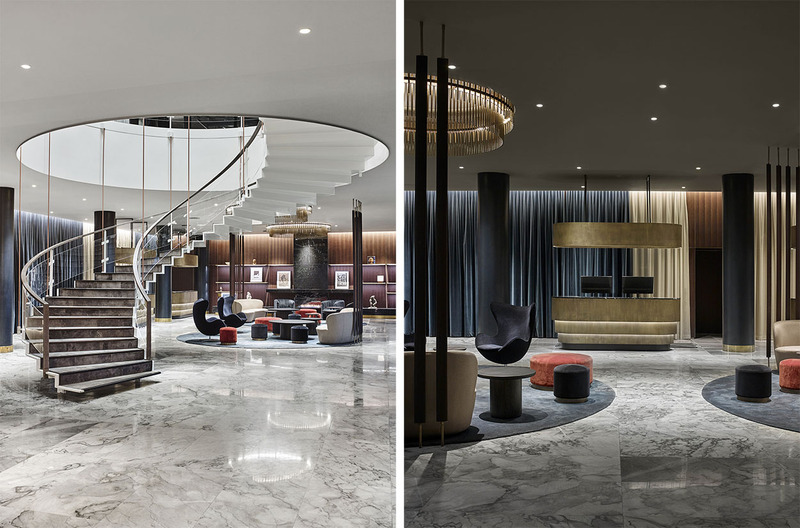 Time took a toll over the years, but now the 259-room hotel has emerged from a top-to-bottom renovation by local studio Space Copenhagen that keeps all its touchstones intact while updating them for today. In the marble lobby, the famed suspended-spiral staircase has been restored, with handrails wrapped in leather, as Jacobsen intended. 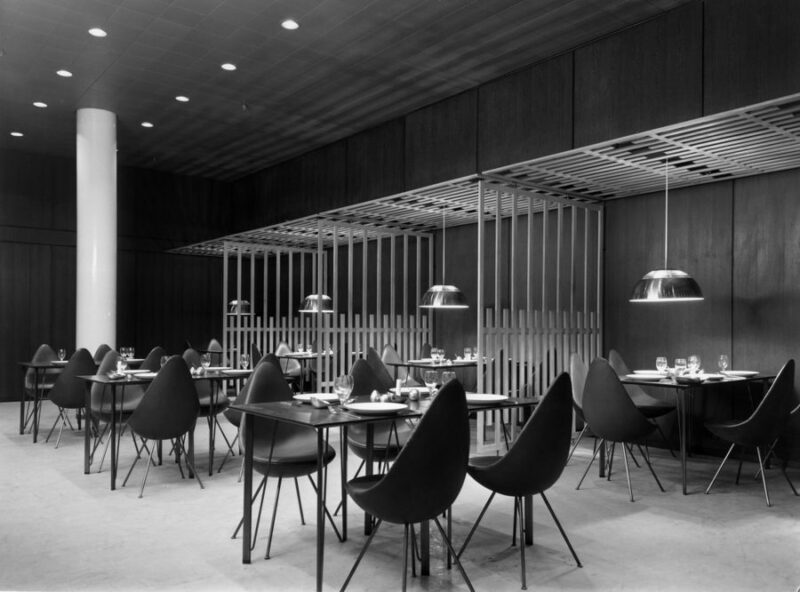 With the help of Danish manufacturer Fritz Hansen, the firm reinvented many of Jacobsen’s original pieces—the Giraffe dining table, which had been relegated to the basement, was resuscitated and now occupies the brasserie-style Café Royal, helmed by chef Christian Paradisi; the Egg, Swan, and Drop chairs were reinvented with Kvadrat fabric textiles—while introducing some of its own, such as the velvet Loafer chair and brass-lined Amore mirror series in the rooms, playing off one of the property’s central attributes since its inception. 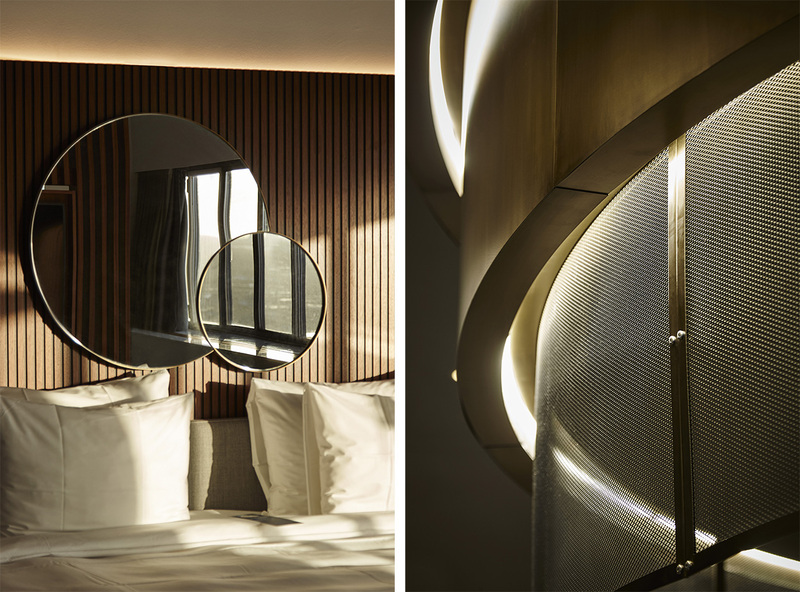 “We were fascinated by the light both outside the building and inside the rooms,” says Signe Bindslev Henriksen, cofounder of Space Copenhagen. “Seeing the constant shift of reflections from the facade is truly distinctive to the hotel.” Formerly relegated to a mere cultural artifact adorning the skyline, this city treasure is seizing its new life and is ready for another generation (or more) of relevance.